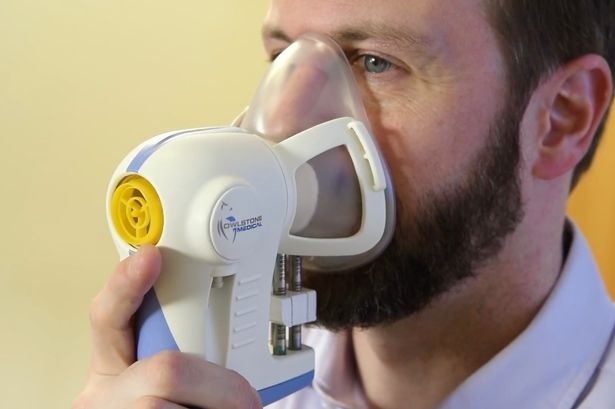 Manufacturers of the Breath Biopsy claim it could save 10,000 lives a year if introduced nationwide – and save the NHS £245million a year by 2020. Initially patients with oesophageal and stomach cancers will be tested before it is extended to prostate, kidney, bladder, liver and pancreatic cancers. Lead investigator Prof Rebecca Fitz­gerald, from the Cancer Research UK Cambridge Centre, said: “Through this clinical trial we hope to find signatures in breath needed to detect cancers earlier. "It’s the crucial next step in developing this technology.” The trial will be the third in Britain. It is already being tested in 20 hospitals. If the technology is shown to be reliable and accurate, cancer breathalysers could become common in GP surgeries.